The Park Flyer and RC Aerobatics including the 3D Foamy. The Park Flyer. 3D Aerobatic. Photo shows the Great Planes 3D Reactor 3D Bipe. 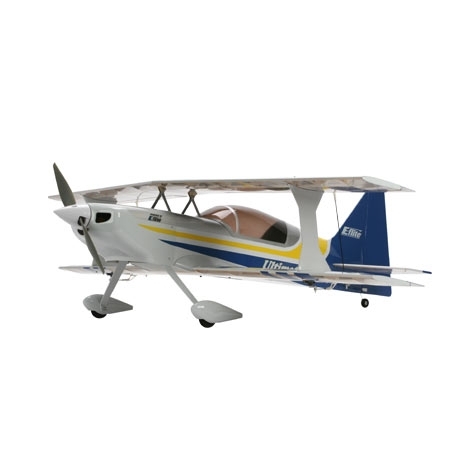 Maybe the most popular in the field of E flight are the 3D capable park flyer airplanes. Descriptions of the most popular models both foam and built-up construction are discussed on this page. 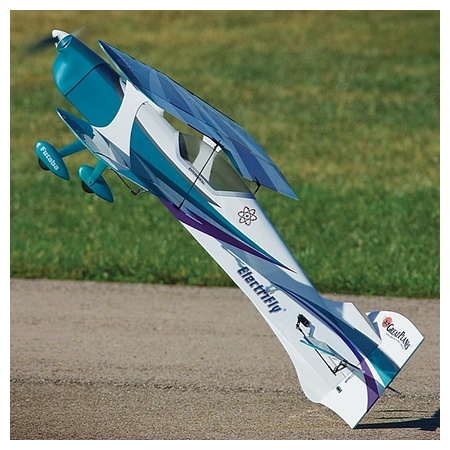 Maybe we should start by talking about 3D RC aerobatics. Conventional aerobatics consist of rolls, loops, stall turns etc and combinations of these. Full size aerobatic airplanes are capable of these types of maneuvers and we have all seen them at air shows. 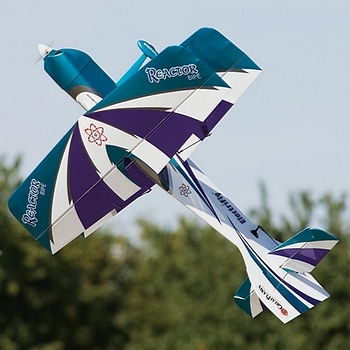 Most RC airplanes are capable of the so-called 2D stunts. Now 3D aerobatics are extreme "high alpha" (high angle of attack) maneuvers. The most obvious 3D stunt is the hover and torque roll. Here the RC airplane is hovered vertically and hanging from the prop, like a helicopter. If the model starts to rotate (roll) about the vertical axis, in a controlled manner, then the maneuver is a torque roll. I believe the 3D maneuvers were developed as a result of the Tournament of Champions (TOC) RC airplane contest, conducted in Las Vegas, a few years ago. This was a by-invitation-only event that attracted the best flyers from around the world. Each year the models grew in size and sophistication and finished up as the start of the giant scale RC airplanes we see today. For the park flyer, a range of models are now available. both 3D foamy and of built up construction. A lot of giant scale RC airplane flyers use the 3D foamies as a practice airplane. The following are a few examples of the 3D aerobats available today. 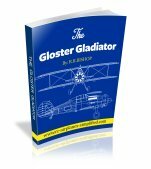 The Ultimate Biplane may just be the most popular scale model. 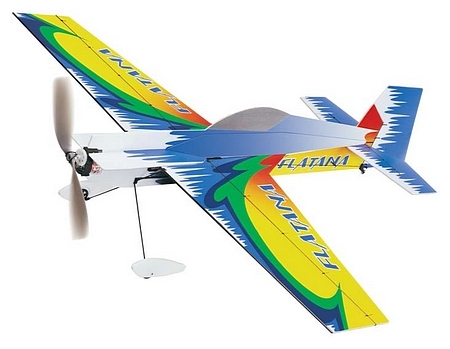 It is available in every size, from the smallest to giant scale RC airplanes. This version is of a size that can be flown in your local park or is not out of place at the club field. This E-Flite flyer comes as you see it in the photo, covered with UltraCote and complete with a fiberglass cowl and wheel pants. One tip I will pass along to you is regarding the servos used in this model. or any other precision RC aerobatic type-do not skimp on the quality of the servos chosen. Use the best available. These models require accurate centering of the control surfaces and first class repeatability. Construction is of conventional balsa and ply, with a film covering. The video below is the E-Flite commercial, but it does give good close-ups of the model as well as nice flying shots-take a look! Great Planes Flatana 3D Foamy. 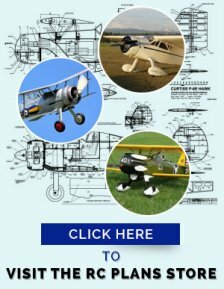 Great Planes have no less than 4 models in this range of "Flatouts". All feature foam construction, with carbon fiber rod reinforcement. They all come complete with a T-370 brushed motor and gearbox. The photo at left shows the Flatana Flatouts 3D EP Park Flyer. All of these models are up-gradable to brushless motors. This option decreases weight and increases power-just what you need for 3D! The video below is a bit dated now ( the range of park flyers available is now 4-not 6) it does give good details of how these models are constructed. Great Planes 3D Reactor Bipe. 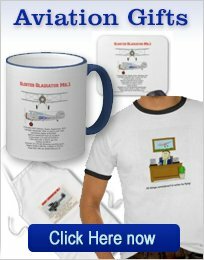 The Reactor series of RC airplanes, by Great Planes, now consists of 4 different models, 2-biplanes and 2 monoplanes. The Great Planes E-performance Ser EP 3D Reactor Bipe ( That has to be the longest name ever!) is shown in the photo at left. This is the smallest of the Reactors, but it's size is good for the Park or the club flying field. One of the attributes of this park flyer is that it is good for precision RC aerobatics as well as 3D maneuvers. The model is of conventional balsa and ply construction and covered with a striking monokote finish. A CG balancer is included with the Reactor Bipe, so that you can properly set and balance your model to match your flying style. This video is the Great Planes advertisement-it does show good model details and flying shots of this park flyer.